Stonemist has been established since 1996, we have built up a client based covering private and commercial customers. We pride ourselves in providing quality workmanship and meeting agreed deadlines. The Company Directors have over 50 years experience in the building industry. 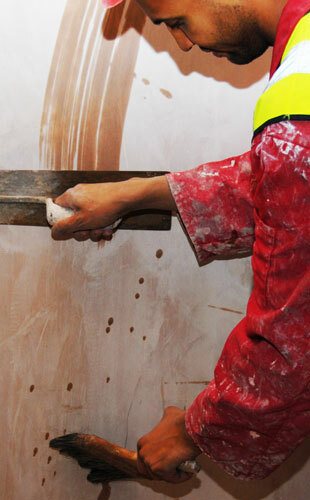 We are able to offer a full range of internal, external plastering & rendering services of all scales from small scale patching and small ceilings to individual rooms or houses of all sizes. To see some examples of our work click here. The majority of our clients are based in Bristol & the surrounding areas. A large percentage of our work comes from word of mouth and the positive reputation we’ve built over the years. Please take time to read the testimonials. Offer full range of services. Written guarantee will be given for all damp and timber treatment .